Shopping is made even easier now. Fashion power players Topshop and Topman are the newest additions to Zalora, Asia's online fashion destination and my personal favourite fashion online retail hub. Starting from 9th of September, shoppers will be able to purchase Topshop and Topman online through Zalora. Talk about fashion forward, seriously can't wait for more brands to be available online. Sometimes there isn't enough time to go to the mall to get something, plus shopping online is faster since we can see all of the items at once instead of searching the entire store. 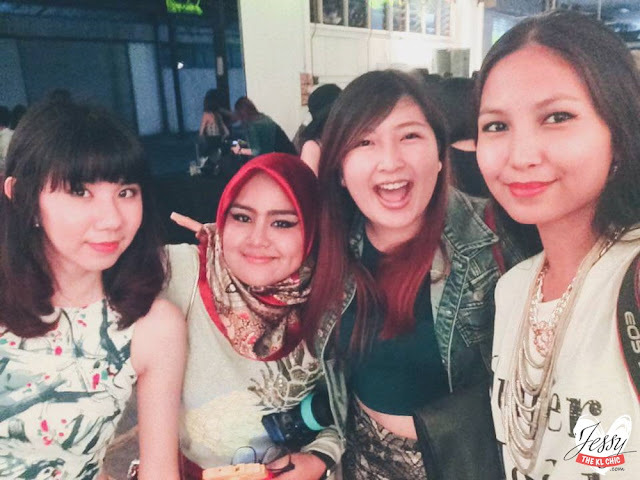 I got a chance to attend Zalora x TOPSHOP TOPMAN launch early this month. It was a very chilled event located in a warehouse at Bangsar. Felt like it was the kind of night launch party you see at New York. Got to hang with the girls and catch a sneak peak of Topshop autumn/winter 2015 collection through a phone goggle device at the event. Below are some of the pictures I took.